One of the biggest quarks I have is “free association.” My mind with connect all sort of dots before I come to a complete thought. That is the foundation of this post. This past week a friend posted a music video on Facebook that took me on a trip down memory lane. As I get older I now realize the allure of music stations that focus on a certain period. As I listen to the Communards version of “Don’t Leave Me This Way” (extended mix), I could close my eyes and clear as day see the dance floor at Badlands in DC or the Saint in New York. I could smell the poppers and I could see the fear in the eyes of the living. Many of us were dancing and focusing on the lights and sounds. Focusing on every thing and anything in order to escape thoughts of the plague. We tried to remember faces that had disappeared in the past months. We memorized the faces of friends still with us. So many songs came out that registered the desperation of that period. “Who Want to Live Forever?”, “Forever Young” and in my case, “Don’t Leave Me This Way”. Enter Barry. Barry and I had met during this period. I think when I bar-tended, but even that was a blur. We dated for a brief time but decided that we made better f*ck buddies and BFF’s. I have searched for a picture of Barry but the only one I could find was a picture of his AIDS quilt panel. I lost a lot of pictures when I tried to purge my memories of that time. It didn’t work. Now abandoned, this was the second location for the Exile. An old poultry processing warehouse. 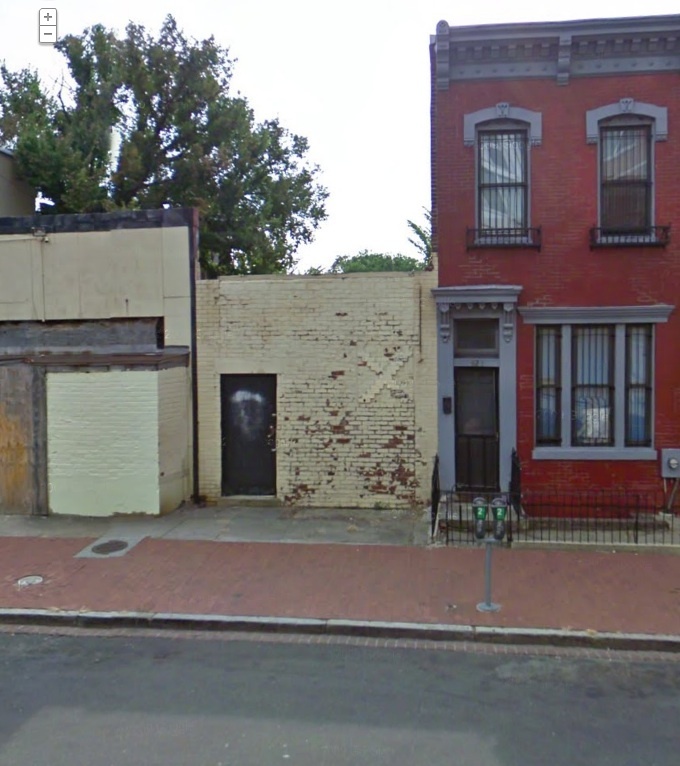 We would meet late at the Exile in DC to dance and play. The Exile was an rehabbed chicken processing plant in NE DC. The back room was one of old refrigerator rooms. We’d dance for a while, grab a drink then head back to the dark room. If there was nothing going on we would start something with each other. If there was already action we would go different directions, every so often meeting up to compare notes. I am certain we had dated in a past life. Or at least been siblings. God we loved Jimmy Summerville. We would dance and sing to every mix until the gay plague finally came to claim Barry. I am not sure who was more distraught over his diagnosis, me or Barry. During that time we all believed that we were living on borrowed time. A diagnoses meant the waiting game was over. Barry was in many respects the stronger of us emotionally. I became a defacto “AIDS buddy”. It was one of the hardest points of my life. I was loosing a best friend and at the same time I thought I was witnessing my own future. I would visit Barry as often as I could. Sometime to play cards, sometimes to listen to music (he had a top of the line sound system) and sometimes to just sit in absolute quiet and hold hands. He was deteriorating quickly. He eventually moved back home to Chapel HIll NC to spend his final weeks with his parents. When that happened almost all of his friends were cut off by his family. I remember laying in obed with him shortly before he left. He wanted to be held and at the same time his body, his skin hurt to the touch. I tried to be as close as possible with out hurting him. It is amazing what memories a song can evoke. Now what does this have to do with Barney Frank? During this time I actually, formally, met Barney Frank. Barney lived in the apartment directly adjacent to Barry. At first I just nodded to him as we passed. After a few regular visits We would chat about Barry’s condition and soon Barney was involved in the care of Barry to the point of taking out his garbage when time allowed. I had “interacted” with Barney on several occasions but this was the first time we operated as equals. We were both loosing a friend. We remained friends for some time. When I was in law school in Omaha Barney invited me to Chicago for a weekend as his date to a huge HRC fundraiser (No the trip was not financed by the tax payer). 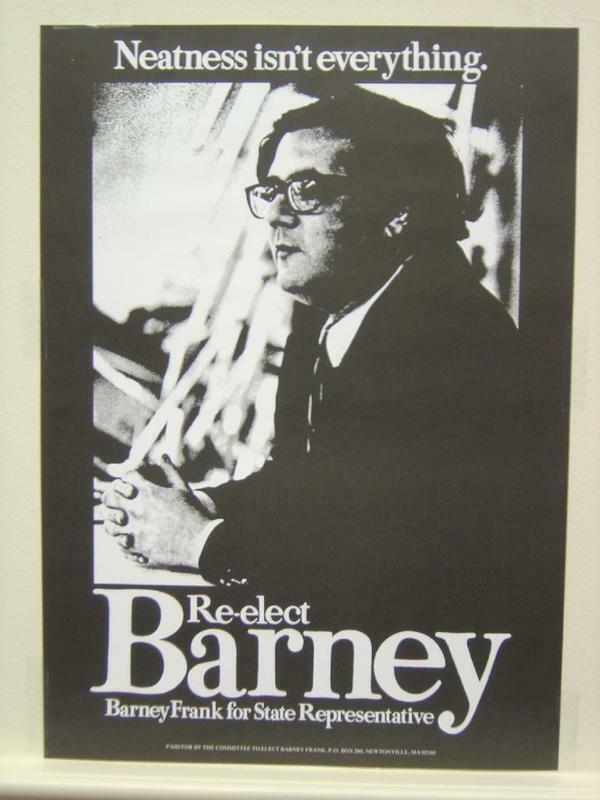 After I got back to DC after law school, I found out that I was not the only law student Barney had “encouraged”. I guess along with some of his kink fetishes, the primary fetish was cerebral. He really enjoyed being challenged intellectually. This is not the venue for the sordid details of a tell all queen. But then I was never a tell all queen. Only tell enough to keep them interested and guessing. That brings me back to Jimmy Summerville. His song “Small-town Boy” always touched me. The need to keep things hidden and realizing that the love and life I sought could not be had in a small town or with “small town” people. And now that circle is complete. PS This is the first of my posting where I actually had to stop to cry. Very embarrassing on an airplane. I came across this very moving post in a search for the name of a very old and dear friend of mine, one who was lost all too soon. As a most definitely lower socioeconomic class student at a private school, I had no friends to speak of, and Barry was the first person who reached out a kind and compassionate hand to me during 7th grade. We became the closest of friends, and I can remember sitting up until all hours of the morning on the phone with him, watching “Saturday Night Live” or “Midnight Special” until one of us fell asleep, rendering the other’s phone unusable until we both woke up and rang off. We talked endlessly about books, music (especially Elton John! ), chess, science, theater–you name it. When I moved away from Gastonia, he wrote me two or three letters every week and really got me through those first tough months in a new town. We saw each other for the last time when he was at UNC and I was at Duke, and he was so excited about the future, and working in the political world. When I learned through my mother (who still lived in the same area with his parents) about his passing, I was heartbroken that I was not able to be supportive to him through his illness. Thank you for sharing your deeply personal story, and for being there to comfort him. He was the finest and sweetest friend I ever had, and I miss him to this day. 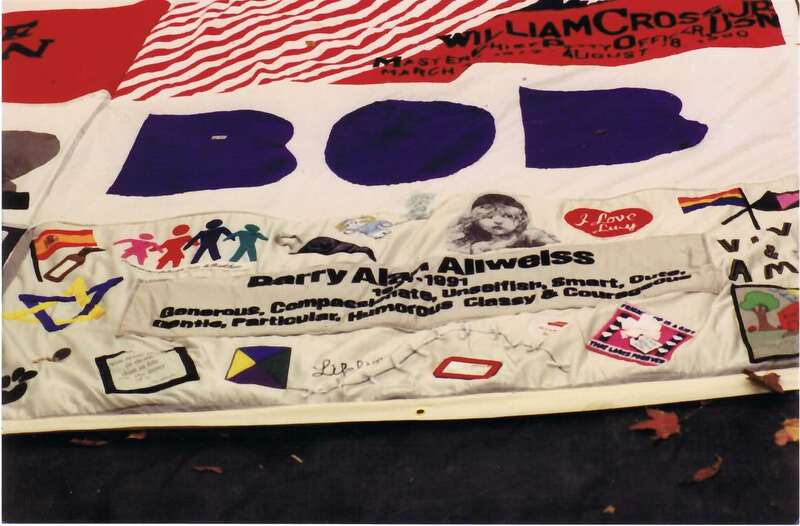 I recently came across a picture of his panel from the AIDs quilt. If you want a scan please let me know. When I get back I’ll forward a copy.